Some users have reported an issue in which music, movies and other media are ostensibly missing from the iPod app on their iPhones after the update to iOS 4.2. In this case, the iPod app will generally display the message “No Content. 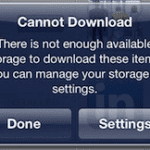 You can download music from iTunes,” although iTunes may show that storage space is occupied on the iPhone. Play a song on your iPhone in iTunes. With your iPhone connected to your computer, select it from the left-hand pane and pick one of your songs or movies, then double-click to play it. 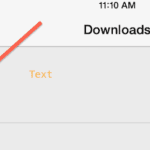 This may cause the “sync” message to briefly appear and the iPhone to once again show all media. Turn iPhone off then on. Simply turn your iPhone off, by holding the sleep/wake button until the power slider appears then sliding it, then back on. Reconnect the iPhone to your computer and you should see a “Syncing” message followed promptly by reappearance of your media. Thanks so much Jason! This works!! Ahh, thank you so much! Definitely had a panic attack. With my unorganized library, I thought I’d have a long night on my hands replacing my music! Thank you so much… was about to freak. Thanks! 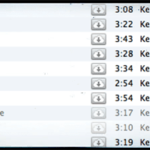 Played a song off the phone in iTunes, re-synced, and I was good to go again. Excellent!